What on earth are designers doing? It’s a good enough time as any to reflect on the role of Design and designers. Are designers being trained in doing the right thing or are we contributing to the problem, by being blissfully unaware of the problems we are creating? Almost the world over, designers this week woke up to this new $400 product that does what a human hand can do. See the video. When a client comes to you to design a product that will end up filling the landfills more than being a useful contraption, will you do it? Does design fee come before the earth? Are we conscious enough to take a call on this? Like any other profession, design apparently has a dark-side too. Designers are often called upon to design redundant products. Washing machines that use enormous amounts of water, dish-washers that have entire assemblies replaced instead of being repaired, Mobile phones with permanent batteries that seep into the soil when discarded, lifestyle products that are so attractive that make people buy them ,even when you don’t need them, Biscuits and bread packaging that use materials that don’t bio-degrade, Jeans and t-shirts that use precious resources for creating effects to look fashionable, the list goes on. Well-meaning, intelligent designers are actually contributing to the growing ecological problems and seem to be completely oblivious of the issues. Two case studies in India, highlights responsible design. Daily Dump is helping people compost kitchen waste using their composting systems. They have leveraged their design skills to improve the system and help the earth a little in the bargain. DLight, a company that manufactures solar-powered lamps that help families who are off the grid. Another heartening news this week was about the Govt of India asking NID for ideas to use up all the discarded notes that were demonetised. That we have people in the government who are using design to come up with recycling ideas, is itself note-worthy. Designers have a responsibility not to use ‘Eco-friendly’ as a cliché, and must stop indulging in ‘green-washing’. When a client asks you to design products that use precious resources like water and clean air or electricity, do you resist? Do you specify materials that are good for the earth? Is the product repairable easily? Are you suggesting solutions that can leverage local resources more than importing others at a cost? Is your product important enough or is it ‘just another one’? Are you over-packaging your products? Can that be changed? Can your products effect behavioural changes that will create a better future? If not, what on earth are you doing as a designer? The latest issue of BW dated 4th April features my article on Auto Design. Take a look. The weblink is here. Look closely at this un-credited picture doing the rounds in social media. 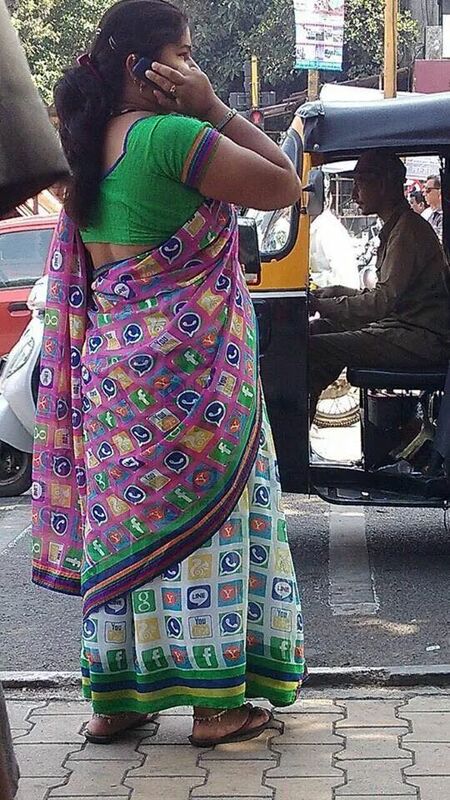 The Saree worn by this lady from an obvious semi urban background from India has all the popular internet logos like What’sapp , Facebook. Google and Yahoo. This is so unique to Indian design done for the masses. The context is in the designer’s mind, quite unmindful of the consumer. The design preempts a trend and finds a new audience. Come to think of it, it’s much like Steve Jobs way of designing products that we did not know we wanted. I would like to meet the designer of the Saree and credit the photographer too who saw this unusual trend. Both may not know that this is so happening!! !